Greece has 6,000 islands, of which more than 200 are inhabited. 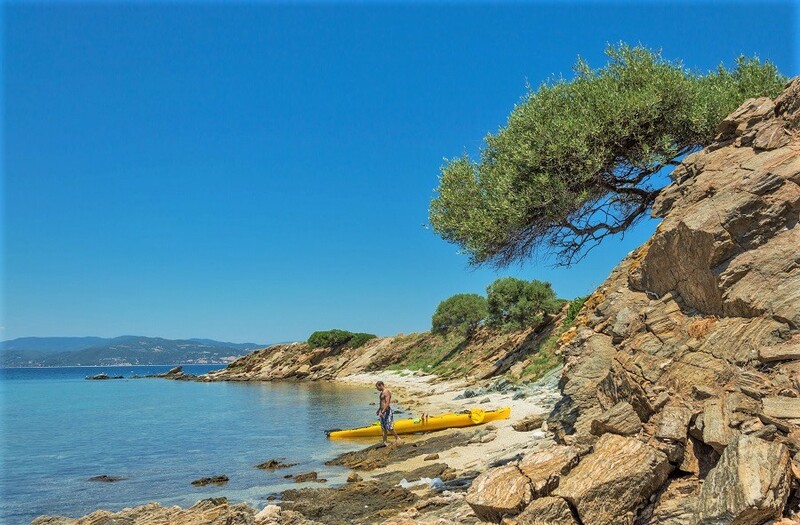 It’s hard to choose your next summer escape, but if you’re a nature lover and enjoy quiet, hidden destinations, give Ammouliani a chance. Ammouliani is a tiny island located just across from the monastic state of Mount Athos, a short ferry ride from the mainland. It has only one tiny town and a long stretch of sandy beaches interspersed with steep cliffs. 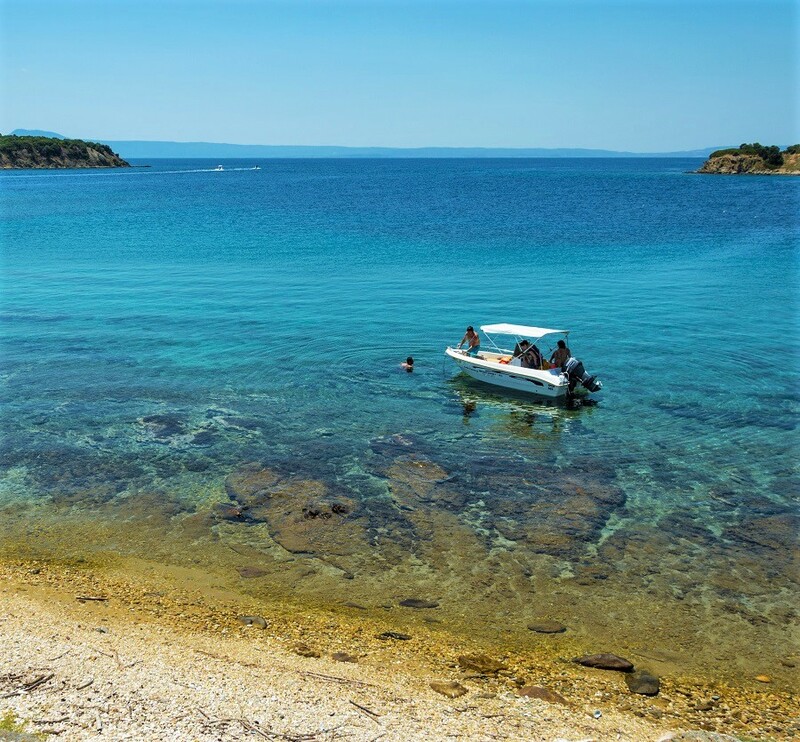 There are several surrounding islets that are perfect for diving, picnics and sunbathing. Since they’re deserted, you’ll feel like you have them all to yourself. 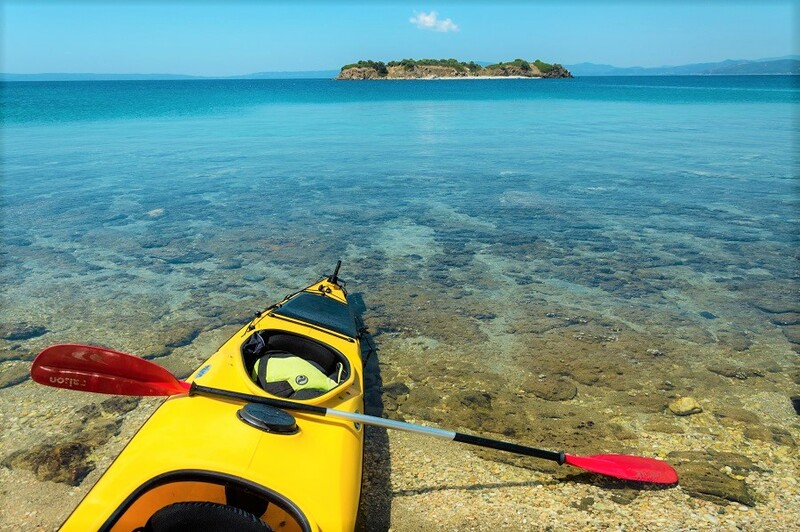 You can hire a motor boat or kayaks and visit them, or circumnavigate Ammouliani itself (in half a day kayaking, or less than an hour by motor boat). 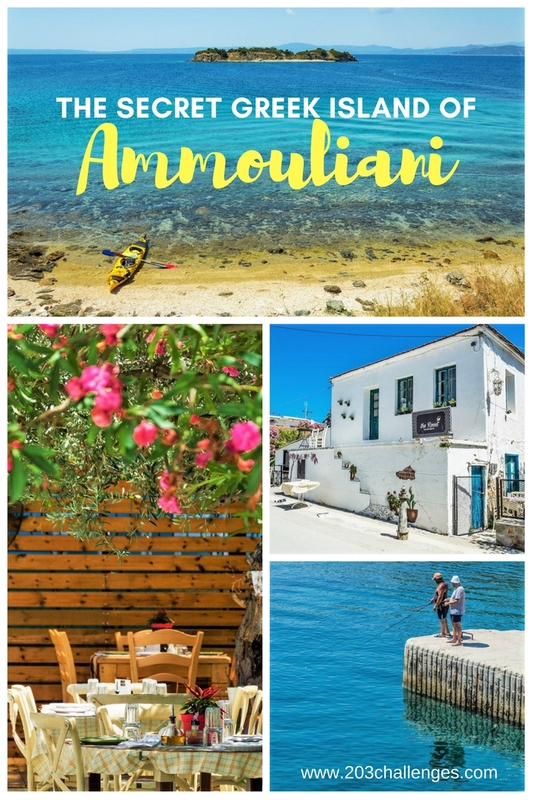 The fact that few foreigners visit Ammouliani gives it an ambiance of secrecy and makes it a pleasant alternative to the souvenir stalls and inflated prices synonymous with the most popular Greek islands. It’s fun to imagine what the island looked like before 1925, when it was a monastic property inhabited by only a couple of monks. They harvested crops, grew olives and herded sheep. In 1925 the island was allocated as a home to refugees from Asia Minor and today it has 600 permanent inhabitants. You can choose between a few youth campsites like Alikes and Ammouliani (where the party goes on ’til late and the beach bars serve cheap cocktails to the thumping beat of loud dance music), remote coastal resorts and guesthouses in the township of Ammouliani. There are shops and tavernas everywhere. The closest airport is in Thessaloniki. 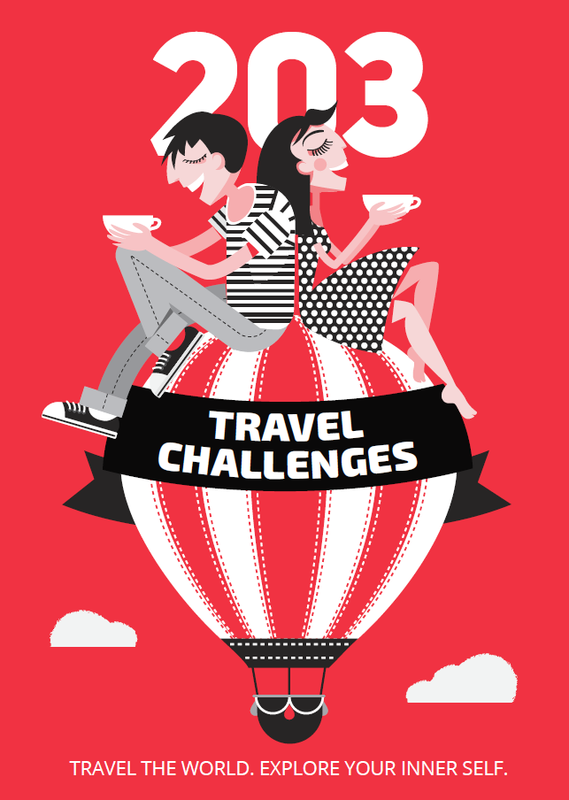 From there, drive to the coastal town of Tripiti (around 2 hours) then take the ferry to Ammouliani. The ferry takes no more than 20 minutes and there are frequent services throughout the day. You can see the ferry timetable and prices here. If you stay on the east coast of Ammouliani, you’ll be spoiled with the amazing view of the sun rising over Mount Athos (a semi-independent religious state known for its many Orthodox monasteries). When leaving the island, take the ferry from the mainland port of Ouranoupoli to Athos (officially The Monastic State of the Holy Mountain) to see how the monks live. The state has preserved its conservative traditions; only men are allowed to live there. You need a written permit to visit Athos, and you should apply for the permit at least two weeks in advance. The full procedure is explained here. Discover more secret places in Greece!